When you “Dance for the Cure,” everybody wins. The Dance for the Cure Challenge is a competitive division that we are including in our competition for the purpose of fundraising for cancer research. 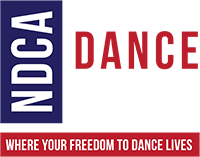 All entry fees go directly to Dance for the Cure Charitable Foundation, a 501(c)(3) non-profit organization that supports cancer programs through the power and artistry of dance and the generosity of the dance community. Join us in supporting this wonderful cause–fill out your entry form today!